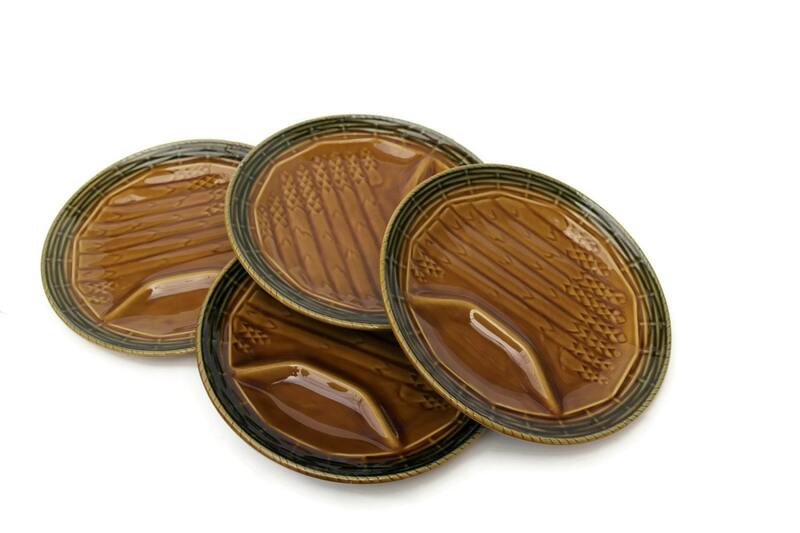 French Sarreguemines Asparagus Plates. Set of 4 Vintage Rustic French Kitchen Wall Plates. 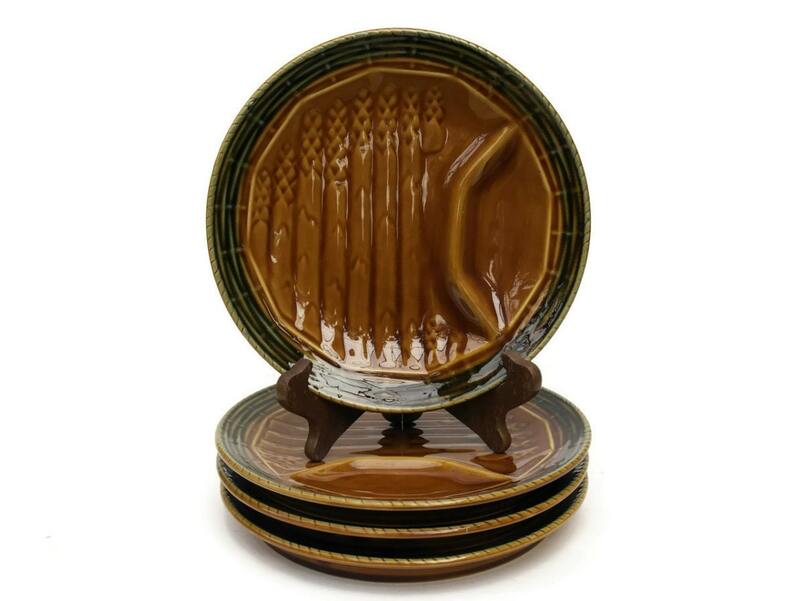 A stylish set of 4 vintage French asparagus plates which have been created from richly glazed ceramic. The four matching plates have been decorated with relief motifs of asparagus spears and feature a border with a woven basket design. 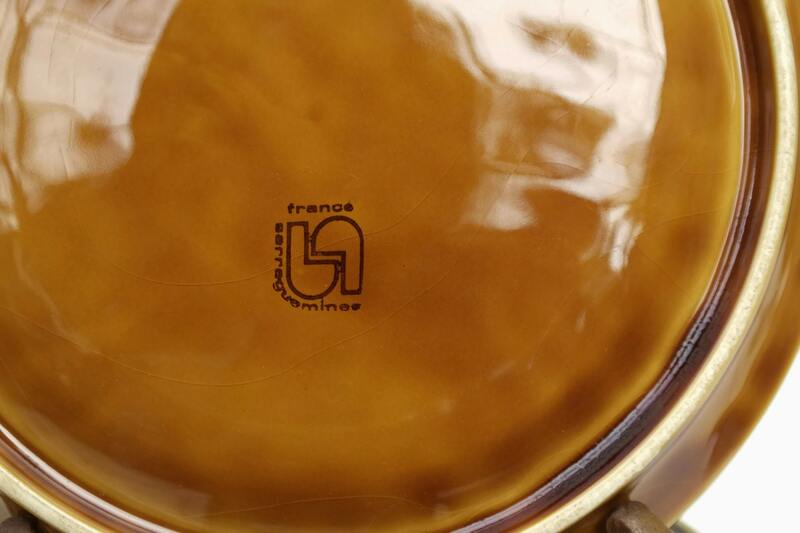 The plates are stamped on the underside with the Sarreguemines maker's mark. 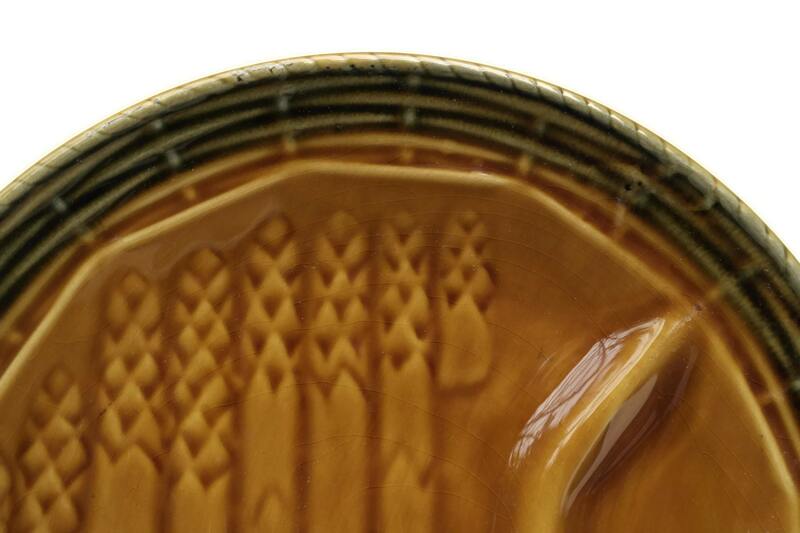 Each asparagus plate is 9" in diameter (23 cm). 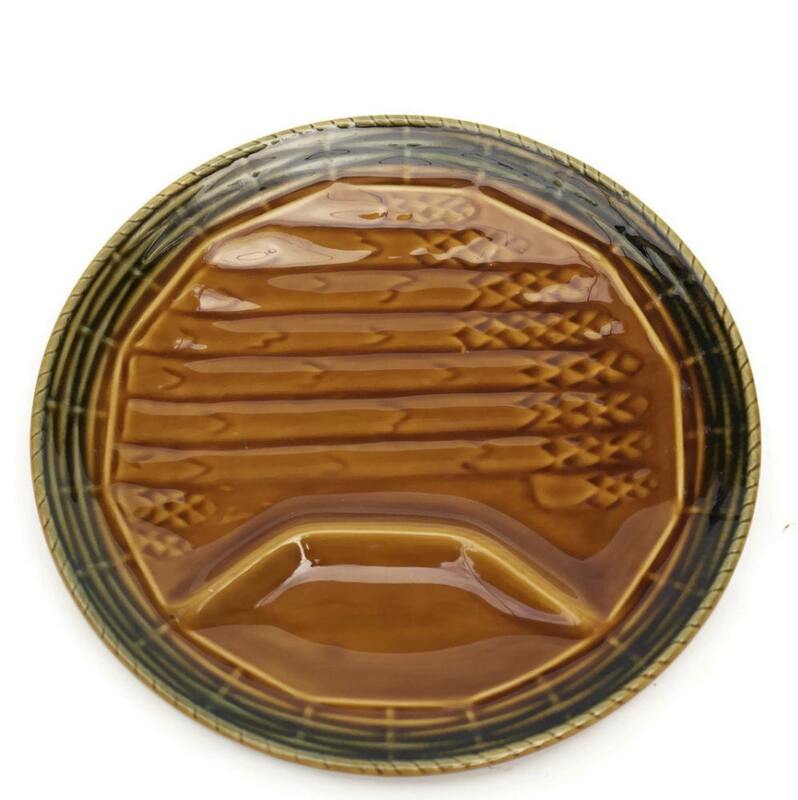 The set of asparagus plates is in good vintage condition with age appropriate wear including fine crazing to the glaze in places. There are no chips or cracks.